For the first time, ICU baby designated the month of March as NICU Sibling Appreciation Month. Many people forget how the siblings of a NICU baby are profoundly affected when their brother or sister is in the NICU. Their parents are divided between hospital-and-home and work while going through the emotional trauma of having a hospitalized, critically ill baby. To honor those siblings who fight alongside their parents for the good health of their NICU baby, ICU baby held a Sibling Supper of Support in their honor at both Holtz Children’s (Jackson) and South Miami Hospitals. A special kid friendly meal, complete with chocolate milk, was served and the children were led in a craft. 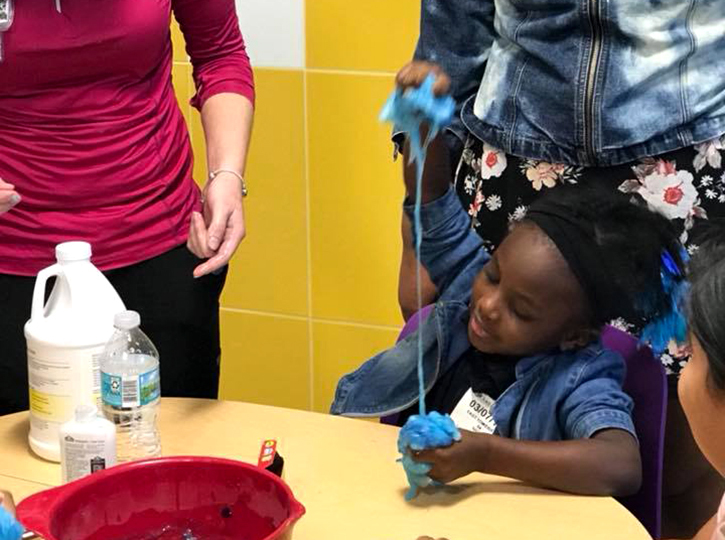 At Holtz, the Child Life Team partnered with ICU baby to lead a slime making workshop! At South Miami Hospital, children were invited to create a Big Brother/Big Sister picture frame to feature their baby. ICU baby also partnered with the Miami Seaquarium and Shorty’s Bar-B-Que to raffle a family day pass to the aquarium (Holtz) and a family dinner at Shorty’s (South Miami). The designation of March as NICU Sibling Appreciation Month is a tradition ICU baby looks forward to continuing.